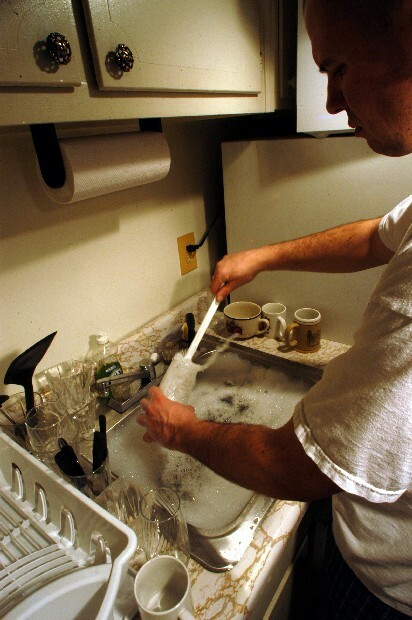 I miss having a dishwasher. My hands get all pruney. I guess the good thing is I get to chew the skin off my fingers. 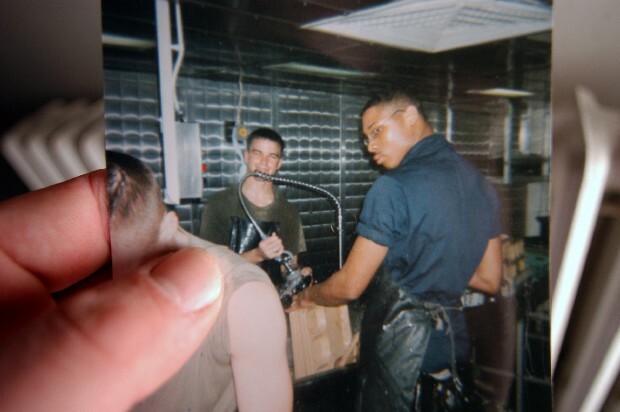 This is one of my old friends Joel Nau (center) in the scullery of the USS Bataan. He was my videographer when I was in the Marines. We all had some extra duties on the ship. I was in charge of the laundry room. I had to visit the laundry room about once every other day and make sure things were running smoothly. I made some extra money too. Others would give me $5 for each set of cammies I had pressed for them. Extra duty pays off.